Tupelo are an award-winning alt-folk act hailing from Ireland. 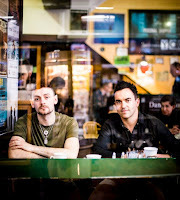 Their new album The Heart’s Bloodline is released on April 6th via Crashed Records and to mark the album release the band are releasing a double A single featuring the tracks Cotton to Silk & Shifting Ground (ft Sharon Shannon) on the same day. Tupelo are an award-winning alt-folk act hailing from Ireland, specifically Dublin and Mayo. With members from different musical backgrounds the band set about creating a sound which can only be described as unique, a result of the melting pot of influences brought to the table from the individual members. Over the years, Tupelo have collected an eclectic array of instruments including double bass, acoustic guitar, fiddle, mandolin, harmonic, dobro and several banjos which they incorporate into their music. Tupelo enjoy the road and have played an impressive number of gigs since the band's formation, appearing at major festivals, playing support to some of music's biggest acts and attracting plenty of fans along the way, which they thrive off. Having signed to Crashed Records Tupelo released their 14 track debut album 'Dirty Money'. An appearance at the All-Ireland Hurling Final at Croke Park in front of 80,000 people was the opportunity of a lifetime for Tupelo. Including the singles 'Don't Let Go', 'Firefly', and 'Irishman', the album received rave reviews as well as plenty of airplay from Irish and UK radio stations including RTE Radio 1 and BBC Radio 2. The band were announced as the 'Best Folk Act' by therenowned Irish music magazine, Hot Press. A European tour followed with shows in France, Norway, UK and Russia as well as a bigger sold out 12 date tour of Denmark. In between the touring, Tupelo escaped to a wonderful country manor in the beautiful surroundings of County Wicklow where they recorded songs for their second album with producer Joe Chester. A 4 track EP titled 'Ballerina's Call' preceded the full album release titled 'Push On'. The new album debuted at no. 7 in the Danish iTunes charts and no. 12 on the the Irish iTunes charts with the first single from the album, Further singles included 'Old Country', 'The Shifting Ground' featuring Sharon Shannon and 'Yesterday's News' featuring Eleanor McEvoy. The video for 'Yesterday's News' was directed by long time collaborator Patrick Murphy and won an Underground Video award for Best Music Video. A deluxe version of 'Push On' was released digitally and included the two special versions of 'The Shifting Ground' and 'Yesterday's News' as well as six live tracks recorded at a special show in Whelan's, Dublin and also the Ballerina's Call music video. The live tracks were also subsequently released digitally as a standalone EP entitled 'Nail and Tooth' and capture the essence of Tupelo as a live act not to be missed. 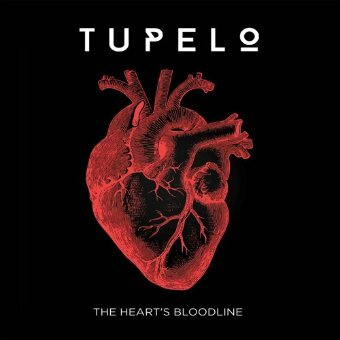 Tupelo have played shows in Norway, Denmark, Holland, Belgium, France, UK, Russia and more recently in the USA to play at the Kansas City Irish Fest, Michigan Irish Festival and the Chicago Irish Fest. The band's US trips included promo on Fox4 Kansas City and Fox 17 West Michigan, The Bridge 909 in Kansas City and Windy City radio in Chicago. The band spent much of the last two years writing and recording their third studio album in Cauldron Studios with Ciaran Byrne and Michael Manning. The third album, entitled "The Heart's Bloodline", is released on April 6th 2018. Notes on "The Heart's Bloodline"
A busy home in Dublin. A backstage green room in Copenhagen. An airport in Moscow. A mountain in Wicklow. A hotel room in Oslo. 30,000 feet above a thousand miles of open sea. Writing songs, just like writing a book or an article or a poem, is a consuming process. It takes over and stimulates and distracts. The Heart's Bloodline is the result of this overwhelming need to create. Books upon books of songs and verse and obscure thoughts and concepts were reviewed and revised and edited and tweaked to compile ten tracks, to assemble a tracklist, to become an album. Writer James Cramer says, "Ciaran (recording engineer) created a great vibe in the studio, a no pressure environment where we could just play and keep the tape rolling. The experience consumes you, no sleep, you can't have a conversation about anything else. It's all about the present. I remember just really enjoying playing and recording the songs and it was, up to that point, the most I had enjoyed being in the recording studio. The Shriven Dust and Solid Ground just started without anyone really knowing that a take was happening. The band just rowed in as I was playing which was magical. We used the first take on both of those tracks." The Heart's Bloodline is a moment in time but also a thousand moments from years of sparks in the creative mind and flickers of spontaneous performances. "The title is a lyric from Solid Ground and these songs are my bloodline because apart from my family, that's all I've got and all I've got to give." Recorded and engineered by Ciaran Byrne at Cauldron Studios, Dublin. Mastered by David Montuy at Blackbird Studios, Nashville. James Cramer - Lead Vocals, Backing vocals, Electric guitar, Acoustic guitar, Tenor guitar, Bozouki, Glockenspiel, Mandolin, Percussion, 5 string banjo, Tenor banjo. Jerry Fehily - Drums and percussion. Bill Shanley - Acoustic guitar, electric guitar. "The quartet's debut album 'Dirty Money' is an absolute belter: a triumph of assured musicianship and thoughtful, heartfelt songwriting." "Tupelo turned a mellow, chilled, laid-back festival Friday evening into a rip-roaring, foot-stomping frenzy that nearly brought the tent down, in the best possible way. A delightfully unexpected and unforgettable end to the first night."